Everybody wants a lean, muscular physique. Like anything worth having, wanting it isn't enough. You have to commit to a rigorous diet and training program that will tax your strength mentally as well as physically. 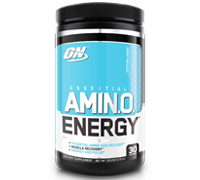 To help you satisfy both of these demands, ON's Essential Amino Energy combines the optimal ratio of rapidly absorbed free-form amino acids with natural energizers and N.O. boosting ingredients to help you reach your next level - including muscle-building BCAAs and arginine for more intense, vascular pumps. * At 10 calories per serving, it'll make a big impression without denting your diet. 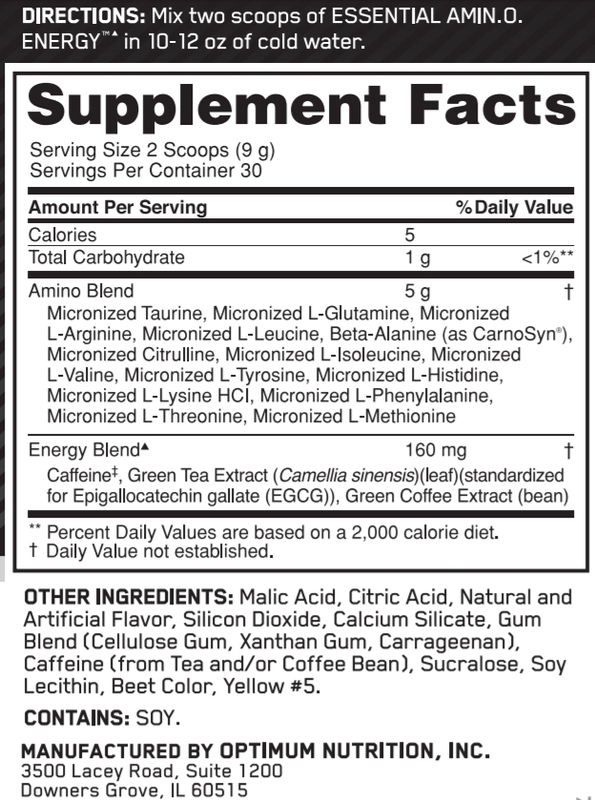 Mix up Essential Amino Energy anytime you want to dial up mental focus, physical energy N.O. production and recovery support.